North Americans have a love affair with blue jeans. The romance began with James Dean in his iconic movie Rebel Without a Cause in 1955. 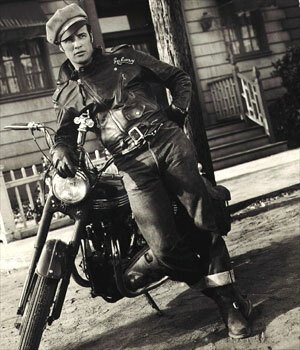 Bluejeans became synonymous with youth rebellion during the 1950s. Because of this, they were often banned in theatres, restaurants and schools. During the 1960s the wearing of jeans became more acceptable, and by the 1970s blue jeans became mainstream attire and a cultural symbol in the Western world. The average North American owns 7 pair of jeans and this continent accounts for 39% of global purchases for jeans, followed by Western Europe at 20%, Japan and Korea at 10% and the rest of the world at 31%. Jeans began with Levi Strauss in 1853, the Inventor of Trousers called Denim Jeans. Levi Strauss emigrated with his family to New York in 1847. His family sold dry goods such as canvas tenting and Manchester drapery goods. He moved to San Francisco in the early 1850s because he thought the same dry goods business would be brisk, because of the California gold rush. About 20 years later, a solvent Levi Strauss and a Nevada tailor joined forces to patent an idea the tailor had for putting rivets on stress points of workman’s waist high overalls, commonly known as jeans. Levi Strauss chose to use the stronger denim fabric and cotton duck, putting his own name on the product. Later the duck fabric was dropped as consumers found denim more comfortable, particularly after washing. Washing creates the faded bloom on the indigo blue dyeing that we all love. Eventually in the 1950s people asked for denim jeans or just as often – Levi’s jeans, rather than waist overalls. Other manufacturers began to produce jeans. MAKERS AND WE’RE BRINGING THEM TO YOU! Appreciated and recognized across North America, Yoga Second Denim Yoga Jeans is a premium quality denim brand that is 100% Canadian made from the finest denims and fabrics available across the world. Their commitment to quality and style is apparent through unique denim washes and specially formulated treatments; each denim garment is distressed; individually hand-rubbed, nicked and reworked to give it a unique character which ensures that no two garments are exactly alike. Further washed with silicone, the comfort of Yoga Jeans is greatly enhanced. With a focus on fit, quality, and style, Second jeans fit like a Second skin! Come in and give them a try! It all started in March 2004 when the tight denim with the characteristic skull logo first hit the market. The story begins in 2000 when Örjan Andersson, Adam Friberg and two of their friends opened a small second hand store called Weekend in a Stockholm suburb. The store went well and the decision to team up with Lasse Karlsson and open up a bigger shop in central Stockholm was made. The store was a full-time concept, open every day of the week, and therefore got the name Weekday. From the start Weekday carried high-fashion and exclusive denim brands mixed with second hand clothing – a blend that attracted young, trendy Stockholmers. Some of the denim sold in the shop was very expensive and Örjan felt there was a need for cheaper, but still fashionable jeans. The first Cheap Monday style ‘Tight’ was born, at this point made exclusively as an in-store brand. An unwashed, very tight fitted stretch denim jean for a shockingly good price! It was an immediate success and the first 800 pairs sold out in a couple of weeks. The skull logo was made by Örjans’ friends Björn Atldax and Karl Grandin who previously had helped out with the imagery for the two stores. In January 2005, Cheap Monday was developed into a brand with full scale collections and the distribution was extended to selected stores in Sweden as well as abroad. In 2008 the brand joined forces with H&M and in November 2009 the very first Cheap Monday Store opened up in Copenhagen. Without traditional marketing but with a strong idea on how to present the brand, Cheap Monday can today be found in more than 35 countries in about 1800 stores all over the world. Despite the fast growth their original idea still remains: to offer pieces that compete with high-end brands both in attitude and fashion-level as well as in quality – always at an extremely good price. CAMBIO is the fashion spin off company of CHANGE Sportswear which is the largest pant manufacturers in Germany. CAMBIO is synonymous with quality and fit. They are pant specialists. CAMBIO is comprised of Collection, Sportif and Jeans. Notably, CAMBIO was on Oprah’s list of favorite things in the past. Once you feel and experience the fit of CAMBIO, it will be hard for to wear another pant. We have the following styles on our floor at Aphrodite: The “Parla Zip” legging jean style in super stretch grey denim. This jean is bi-stretch making it super comfortable. The “Rhona” tapestry print in Jersey with seamed legs (which are slimming) and detach stirrups. This is a great style and fits many body types. The stirrups help to keep the pant in place, particularly when wearing boots, but are also easily removable. The super soft tencel denim jean is a treat to wear. It is in the “Piper Slim Long” body which is a great alternative to the legging jean. Vizcaino Premium Denim has strong family roots. The company was founded by Ory and Rick Vizcaino, two brothers who hail from a family that has been in the clothing industry since the 1920’s. The brothers have created their new signature line, Vizcaino Premium Denim, a label dedicated to the time honored craftsmanship learned from their father and his father before him. After spending many years learning the family business from their father Bill, the brothers partnered with him to form Carrera Apparel in 1990. In 1998, Bill partnered with David Kahn to create BVDK Designs, Inc. and launch the David Kahn Jeanswear label, a denim line produced by Carrera Apparel. With Ory heading up design and development, and Rick managing the company’s operations, the line flourished and enjoyed success in Nordstrom and 2,200 specialty stores in the United States and Canada. In 2010 the family sold their share of the David Kahn Jeanswear brand, and in June of 2011 the brothers formed Vizcaino Premium Denim, a product that combines the contemporary styling, superb fit, and attention to detail the Vizcaino name has always been known for. Vizcaino Premium Denim jeans are featured in luxury retailers nationwide, and are designed and manufactured exclusively in the USA, using only the highest quality denim and washes. NYDJ is now the number 1 selling brand in North America! They are made for every woman who has ever sacrificed comfort for style…or style for comfort. For every woman who has ever stood in the harsh light of a dressing room and made a wish. And for every woman who has ever tried on five outfits before leaving the house. For you, we created NYDJ. That’s because the right pair of jeans can transform not only how you look – they can change how you feel. NYDJ is the original slimming jean, designed with a superior fit that makes women look and feel amazing. We use premium denim with just the right amount of stretch – for comfort with no bagging – even between washings. The Lift Tuck Technology® provides gentle control in front while lifting and shaping in back. And then we add something else…style. With NYDJ, you’ll find all the washes, the colors and the on-trend looks you want, all with our famous look-one-size-smaller fit. But don’t just take our word for it. Try them on and see why the women who wear NYDJ aren’t just loyal, they’re obsessed. JEANS. WE ALL LOVE THEM! COME IN TO APHRODITE AND TRY ON A PAIR.